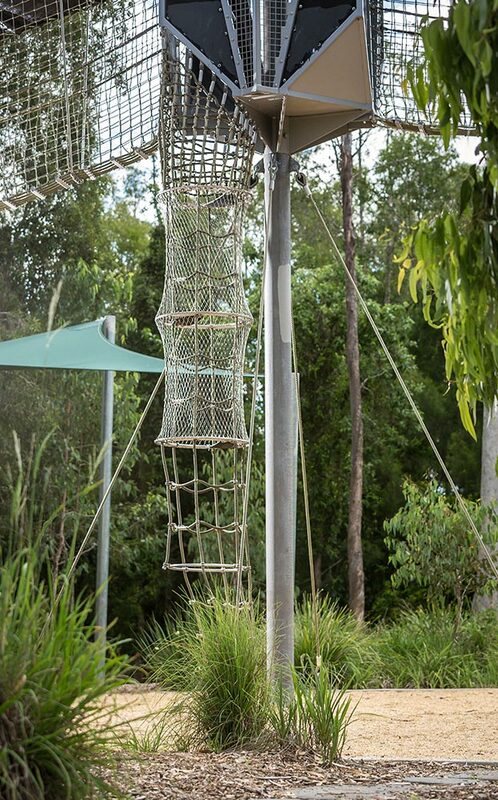 The Calamvale District Adventure Park is an exciting addition to the large range of play areas and parklands that stretch across South East Queensland. 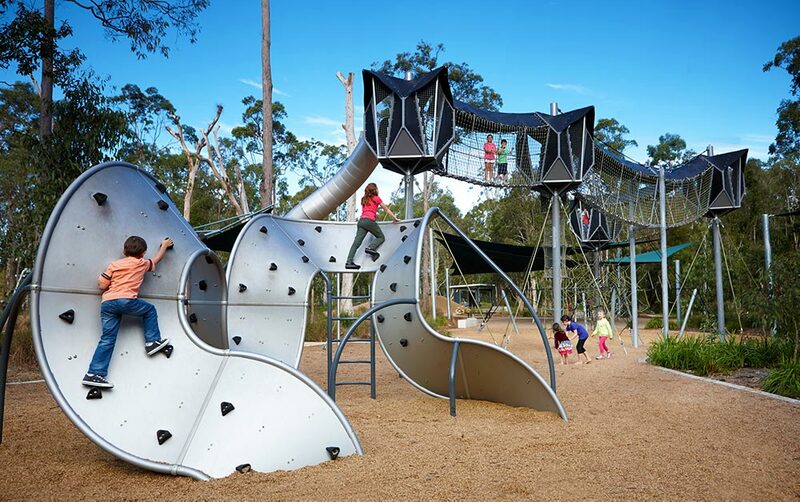 The structure of the park was designed and installed by Kompan which is the amongst the world’s leading playground suppliers, offering unique and compellingly distinctive designs. 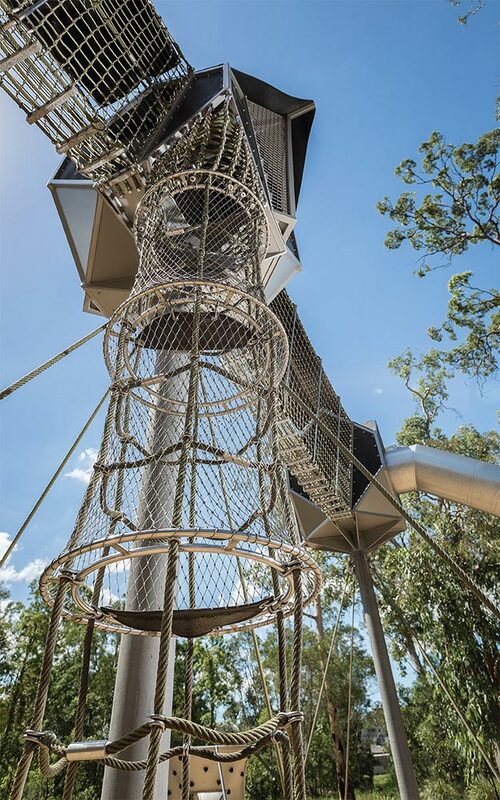 Incorporating numerous rope ladders, bridges, and climbable spider webs, Carl Stahl stainless steel X-TEND® Mesh was supplied and installed by Ronstan Tensile Architecture to help house one section of playground and prevent children falling from height. 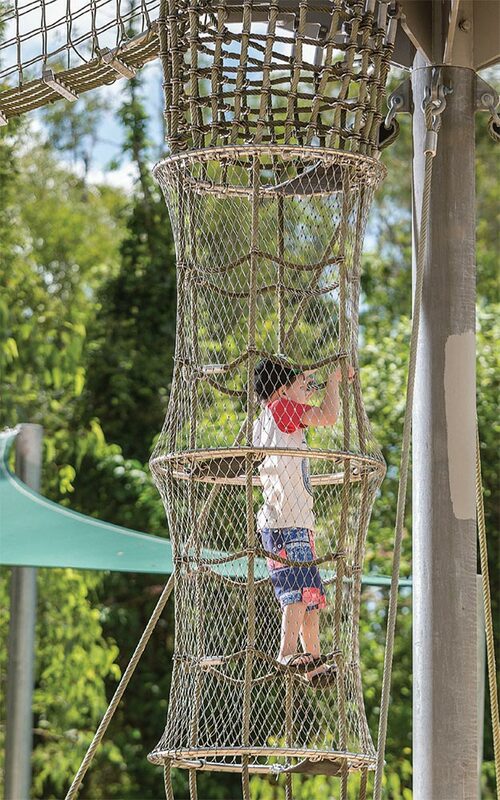 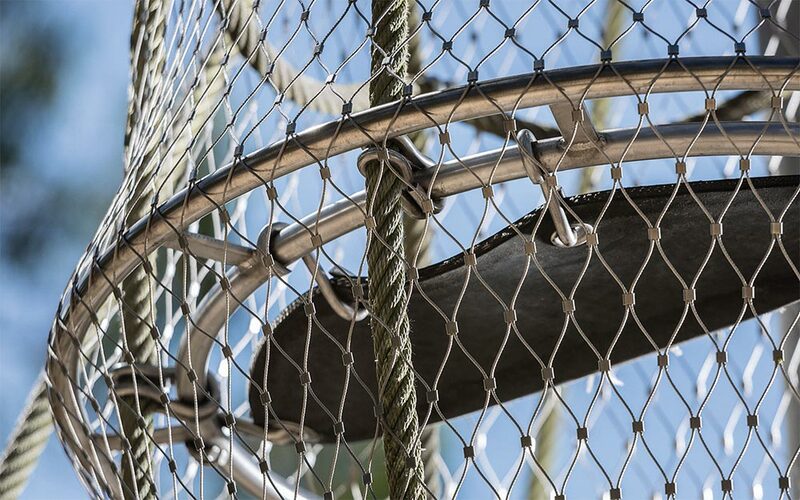 The safety netting ensures a worry free trip to the adventure playground and protection from serious injury.